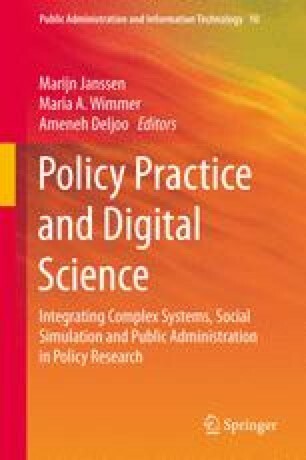 This chapter aims to add to the technology debate in the sense that it aims to research the role of values and trust in computational models in the policy process. Six case studies in which a computational model was used within a complex policy context were research for the role values play within these models. Conclusions deal with the role of the designer of the model, the number of different actors, the amount of trust already present, and the question of agency by humans or technology. Additionally, margins of error within the model are discussed as well as authority by one actor over others concerning the model.